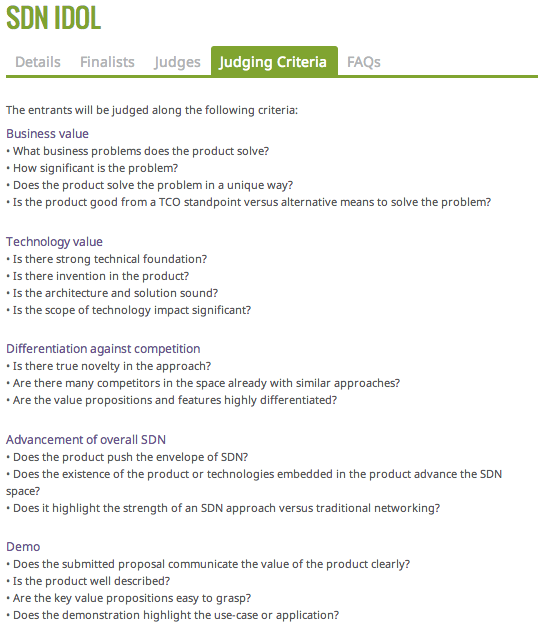 The video of the ONS 2014 SDN Idol final demonstrations has been released (the demonstrations were presented live at the Open Networking Summit on Monday, March 3, 02:30P - 04:00P). The first demo presented is Real-time SDN Analytics for DDoS mitigation, a joint Brocade / InMon solution that combines real-time sFlow analytics and OpenFlow with SDN so that service providers can deliver large scale distributed denial of service (DDoS) attack mitigation services to their enterprise customers using their existing network infrastructure. DDoS mitigation is particularly topical, two weeks ago, a large attack was targeted at CloudFlare, DDoS Attack Hits 400 Gbit/s, Breaks Record, and this past week, Meetup.com has been hit with a large persistent attack, Meetup Suffering Significant DDoS Attack, Taking It Offline For Days. The SDN DDoS mitigation solution can address these large attacks by leveraging the multi-Terabit, line-rate, monitoring and filtering capabilities in the network switches. 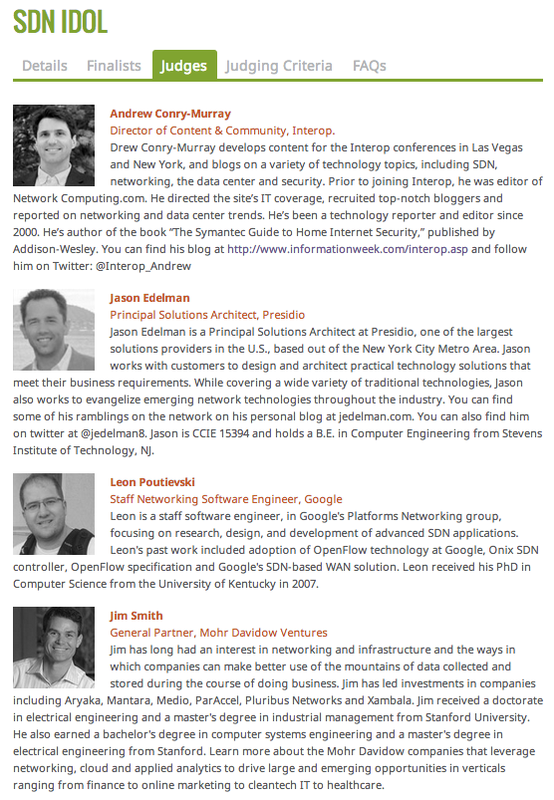 ONS2014 Announces Finalists for SDN Idol 2014 provides some sFlow related trivia relating to the finalists. Voting is open to ONS delegates and will occur during this evenings reception and the winner will be announced tomorrow.